We offer Leather Hollow Punches. These punches are made from carbon steel. These are duly hardened & tempered, black burning finish. Specifications:Size: CustomizedWe are mainly looking for North India, North East, West Bangal Queries. 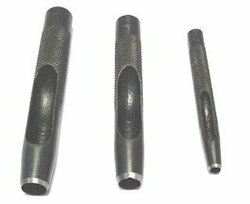 These Hollow Steel Punches are ideal for use on leather, plastics, fiber & etc. 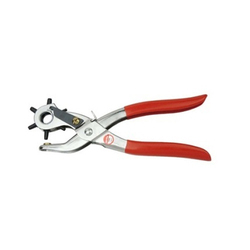 The precisely ground cutting edge is hardened and tempered for longer life and reduced wear. special design of the cutting tip prevents jamming of materials inside the punchesSize:- 3 to 32 Kit Set Also Available in no. and mm sizes. Made from Quality Steel, Hardened, Ground and Cutting edge is HRC. Chennai Tools Agencies Pvt Ltd.